This young and vibrant Bat Mitzvah Invitation on pearl ice shimmer stock features a colorful peace sign composed of swirls, doves, smaller peace symbols, flowers, hearts and Jewish stars in teal, purple, fuchsia, dark blue and gold. 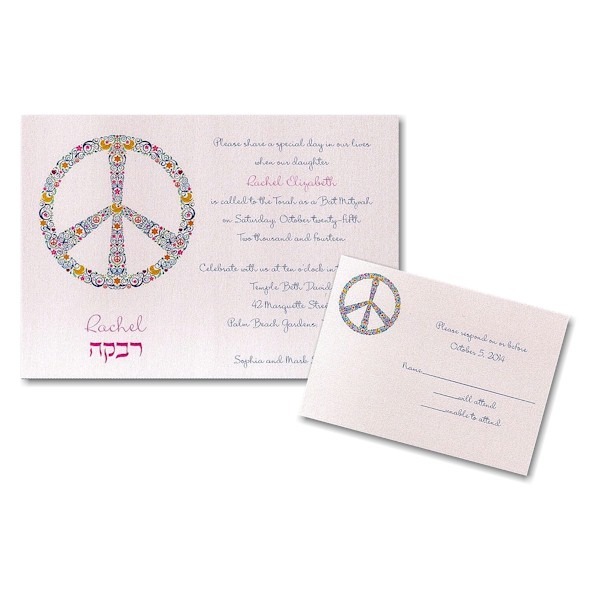 This young and vibrant Bat Mitzvah Invitation on pearl ice shimmer stock features a colorful peace sign composed of swirls, doves, smaller peace symbols, flowers, hearts and Jewish stars in teal, purple, fuchsia, dark blue and gold. 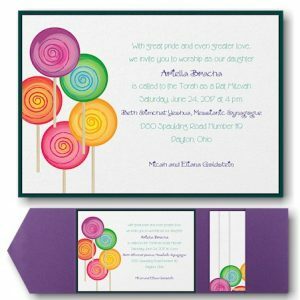 The Bat Mitzvah’s name (and Hebrew name, if desired) are printed below the design and up to two ink colors may be used for your wording to the right. Measures 8-1/2″W by 5-1/2″H. Shown with Fuchsia and Purple Inks and typestyle MSB. This invitation is digitally-printed, thus all ink is flat, not raised. 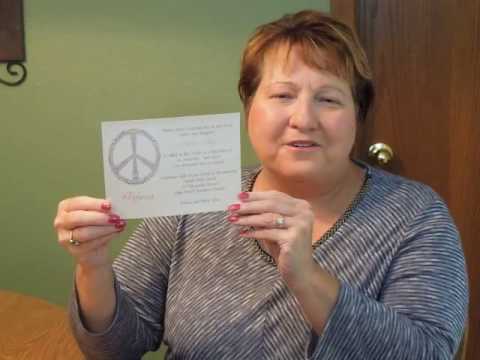 Single white envelopes accompany this Bat Mitzvah Invitation.